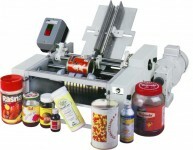 The Automatic Vertical Self Adhesive Bottle Sticker Labeling Machine Model NKSAL-120 is used for Full / Partial Wrap around Labeling on different size of round and other shape of containers. 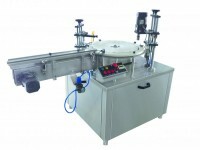 This round container can be Pet Bottle, Glass Bottle, Wine bottle, Vial .This highly Advanced Bottle Sticker Labeling Machine incorporates newest refined Servo controlled Label Dispensing system with outstanding sensing system for Label & container. 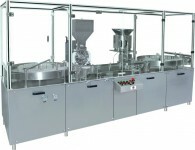 For Container Sensing, it uses special background Suppression Sensor. 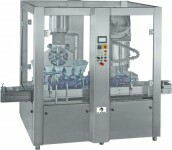 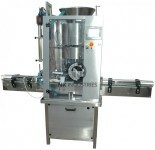 The distinctive feature of this machine is “No change parts” required for different diameter of containers & adding upto it tool less adjustment in order to adjust various size containers therefore down time is very less. 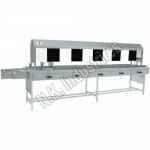 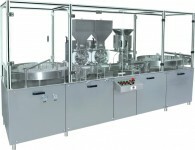 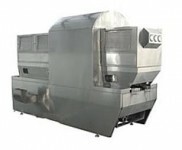 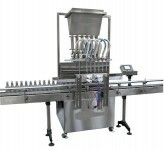 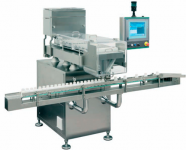 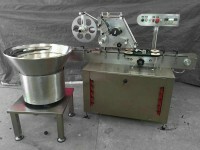 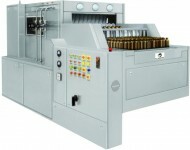 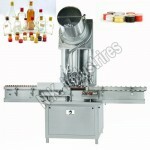 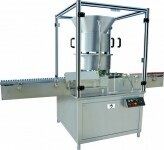 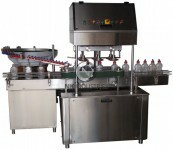 It’s capable of Labeling up to 120 units per minute depending on Container diameter and label size. 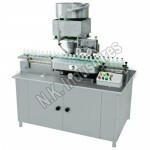 The Automatic Vertical Self Adhesive Bottle Sticker Labeling Machine Model NKSAL-120 has elite single point synchronized speed control system. 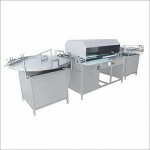 The Inbuilt Automated Label Length detection systems eradicate need for physically feeding & storing of Label Length data in memory & retrieving same every time for change of Label Size & re-starting machine. 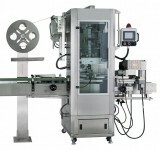 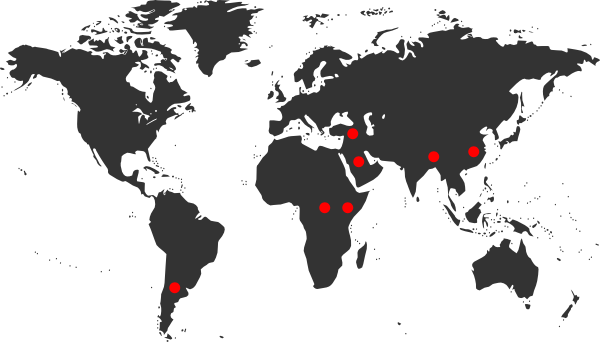 Thus result in reducing downtime as well as improving production. 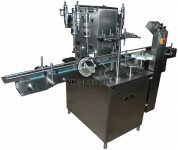 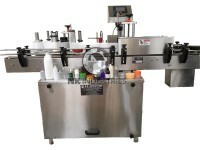 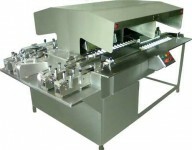 The heart of the Sticker labeling machine is the labelling dispenser head. 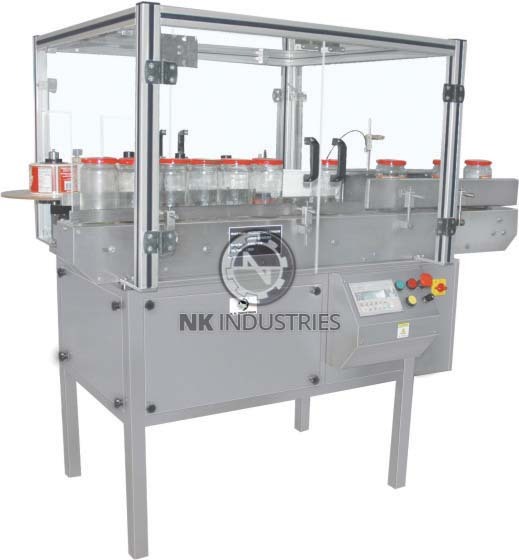 N.K Industries’s with its long experience in field of machine design has incorporate the special label roll guider, Aluminium sticker label roll holding plate to impart the finest performance in industries. 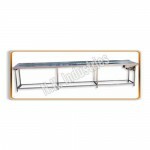 Machine Top Plate Is Mild Steel With Superior AISI 304 Cladding. 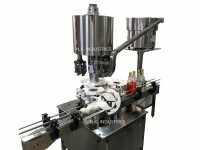 No Change Parts Required Either For Change In Round Bottle As Well As Label Sizes. 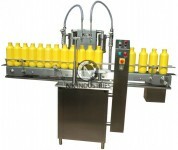 Superior Ergonomic Finish of Machine.